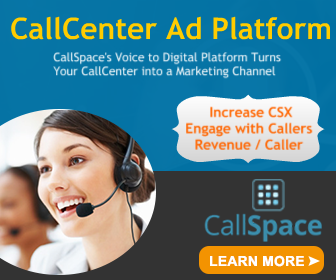 FREE E-News: Stay up-to-date on the latest news from Call Center Ad Tech. Tendril announced support for Google's (News - Alert) new utility program which allows energy providers to use Google Assistant as a platform for next-generation customer engagement. Through its new integration, energy providers can work with Tendril to quickly begin delivering personalized bill, usage and insights over Google Assistant-enabled devices. Tendril is demonstrating this functionality on a range of devices, including the Google Home Hub, at CS Week, the utility industry's premier customer service conference. "Voice assistants are quickly becoming a part of people's everyday routine but using them to deliver energy information is just the beginning. Teaming them with other smart home technologies like smart thermostats and other DERs brings us closer to the goal of establishing a modern, digital customer experience," said Devren Hobbs, Director of Product at Tendril. "The new utility integration is a crucial first step as it enables providers to seamlessly fold energy-related insights and actions into people's voice experience, providing an intuitive way for customers to get bill and account information via the Google Assistant. We are excited to leverage this innovative offering to establish voice as an engagement channel for utilities." Tendril's support for the new program expands the relaionship between the two companies that was established in October 2018. At that time, Tendril announced a collaboration with Google to provide voice-activated energy information and personalized recommendations to utility customers via the Google Assistant and Google Home devices. Indiana Michigan Power (I&M), an American Electric Power (NYSE: AEP) company, was announced as the first utility to work with Tendril to offer this functionality. This program allows I&M customers to get quick answers to questions and tips on saving energy and energy over Google Assistant-enabled devices. For more information on that implementation, listen to this webinar produced in January 2019. Tendril is transforming the residential energy market. Our data analytics on more than 123 million homes creates new business opportunities for any product or service provider connected to the home. Today, this includes electric and gas utilities, and energy retailers. Built over more than a decade, the Tendril Platform delivers real-time, ever-evolving data about the home and how people use energy in it. These rich insights help our customers improve customer acquisition, increase engagement and orchestrate home energy experiences. For more information, please visit www.tendrilinc.com and follow us on Twitter (News - Alert) at @Tendril. JC Penney: 'Brand' inbound calls? Increase Customer Satisfaction? Monetize the Contact Center? Wow! In our digitally driven world, branding and engagement are a clear focus. Marketers are tasked with taking shoestring budgets and making miracles. What seems to get lost in our omnichannel world is the potential the phone provides.